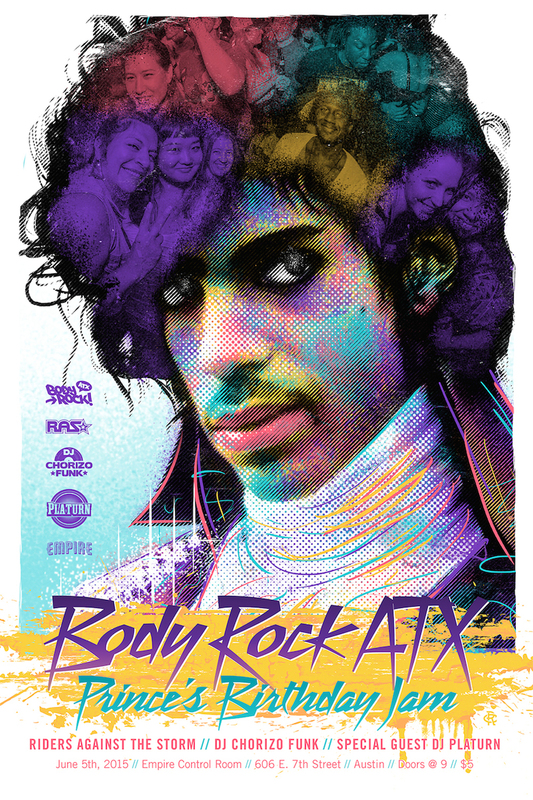 This Friday, we’re excited to pay tribute to one of our favorites at Body Rock ATX: Prince! This is our 3rd year paying tribute to Prince and all of the musicians that he worked with and influenced, and it’s always one of the best parties of the year. We’ll be welcoming DJ Platurn (Oak) to the party and Kaycali will be holding down the patio. It’s gonna be a packed house…early arrival highly suggested! FB Link.